Are you starting to see a pattern here? Great bands that I’ve seen before at Coachella, that I’m going to see again at Coachella. 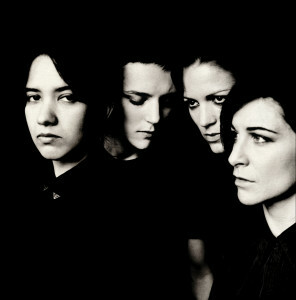 Savages are an all-female post-punk band based in London. The ladies have been making some serious noise since 2011. In 2012 the group introduced themselves to world by dropping the singles “Husbands” and “Flying to Berlin.” After one listen to those two gems, the woman ended up on every Bands-On-The-Come list known to mankind. Their critically acclaimed debut Silence Yourself arrived in the spring of 2013, and deservingly finished the year on many of those fun Top Albums Of The Year lists, including mine. The highly-anticipated sophomore release Adore Life came out in January. I think it might be time for the girls to graduate to the Main Stage.